By William A. M.Eng., with translations by Mei C. B.A. The China of the early XXth century experienced major political and social changes thanks to a combination of local and foreign forces creating the right environment from which many reformers arose. In the realm of Chinese martial arts, Ma Liang (馬良) also know as Ma Zizhen (馬子真, 1875-1947) would give a start to the modernization of the native martial skills following the steps of Ming General Qi Jiguang, by organizing standard material to teach them nationally (Henning, 2003). A native of Hebei, Quinyuan county in Baoding, during his early years Ma would train in what some say was Shaolin martial arts (a generic classification normally use even today to lump different styles many of which have no conexión with the famous monastery) pursuing a military career at the Beiyang Northern Military Academy established in 1902; by 1900 – 1901 Ma became an instructor at the Shanxi – Zhili Infantry School (Lin, 1985; Ma L. , 2012). It was here that Ma would prepare and teach a series of skills that were known at the time as “Ma’s Exercises”. This material included Chinese wrestling and boxing, staff and double edge sword. In 1911 Ma’s curriculum was re-named ” New Martial Arts of China” (Zhonghua Xing Wu Shu) organized in four volumes: Shuai Jiao Ke (Chinese Wrestling Studies), Quan Jiao Ke (Chinese Boxing Studies), Gun Shu Ke (Staff/Cudgel Studies) and Jian Shu Ke (Double Edge Sword Studies). The plan for this material, at least on paper, was to be taught at educational (Morris, 2004), military and police schools across the nation. By organizing a standardized set of martial arts material, Ma and his collaborators set a precedence that would later be expanded more successfully by other organizations that followed similar goals for the dissemination of Chinese martial arts. The use of Wu Shu to define the native combat skills preceded later attempts to standardize the terminology use to describe them (Ma, 1920). Ma Liang was only able to complete the whole project after he was transferred to the Shandong Jinan 47th Army. It was in this position that Ma was able to expand his early material to completion by 1916. In that year a group or representatives from the Education Department had the opportunity to examine Ma’s work and after this visit the curriculum was approved for implementation. 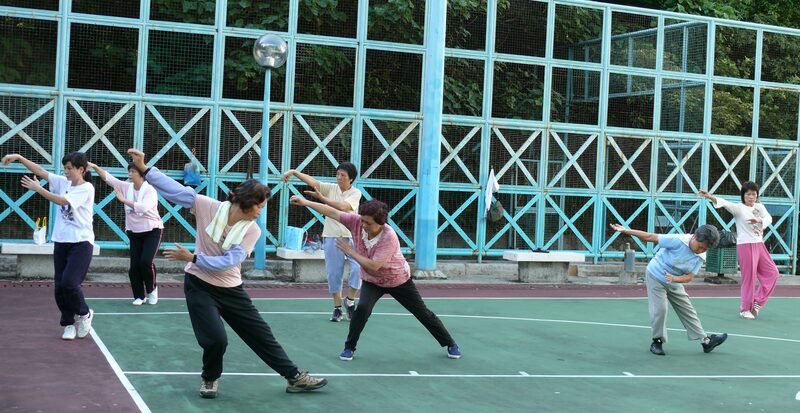 Two years later, the Shandong Province Education’s Meeting suggested the implementation of the New Wushu curriculum, after it was agreed to include martial arts as part of the academic program for the students. Publication of Ma’s material took place in 1919. Ma’s volumes were originally planned to contain two levels to be taught. A basic and an advanced level, with the basics volumes to teach introductory material and the advanced ones would cover applications and special subjects. However, the latter never saw the light. The published volumes include solo drills, followed by two person practise written in simple language and with detailed descriptions of the subject of study (Lin, 1985). 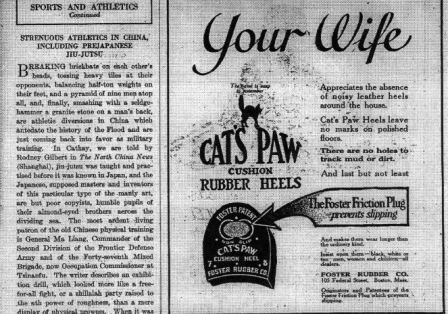 Ma organized regular training demonstrations, one of which was witness by Rodney Gilbert, a foreign correspondent, and published in the Literary Digest May 29, 1920 with the title “Strenuous Athletics in China, Including Pre Japanese Jiu-Jutsu” (credits go to Joe Svinth for this find). ” Such shows begin gently enough, with a placid drill in calisthenics. The drill-ground is carefully rolled smooth and hard, and every pebble and fragment of stone has been removed. Along one wall is a rack of antique Chinese weapons, straight swords, curved swords, lances, halberds, quarter staves, clubs linked together like flails, and many other weapons for which there is no occidental name. At another end of the court are a number of large stone dumb-bells, piles of granite paving stones, and little heaps of bricks and tiles, all of which serve a rather astounding purpose at the end of the performance. After the calisthenics comes a sword-drill with straight swords, which is followed by a drill in the use of a quarter-staff about six feet long. In this phase of the drill the Japanese are, of course, intensely interested. 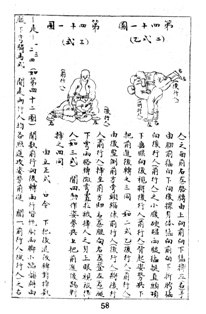 General Ma Liang says that thousands of Japanese officers and men have come at one time or another to see the performances, and, according to creditable witnesses, one or two of the best wrestlers have thrown every jiu-jutsu champion whom the Japanese have been able to bring to Tsinan. Highly dramatic combats with lances and swords follow the wrestling, and while it is certain that the men purposely miss one another in their lunges and slashes, they miss by so narrow a margin that the spectator is out of his seat throughout most of the contest. After these artists come the strong men, as highly developed as any whom we are accustomed to see in the Occident. One man takes a dumb-bell weighing 266 pounds, tosses it in the air, catches it on his upturned forearms, tosses it again, catches it in one hand, rests it upon his head, and then twirls it about his neck, shoulders, and waist. Another lies upon his back, supports dumb-bells weighing 540 pounds on his feet and hands, and upon these a pyramid of nine men is built. A number of lesser lights perform with lesser dumb-bells, then a man rushes to the front, two others toss a granite paving-stone four inches thick on his back, and it is cracked with a sledgehammer. This is the signal for a general furor of tile- and brick-breaking among the acrobats. They break bricks in their hands, break them over their arms, over the backs of their necks, and over each other’s faces. One man leans over, balances six bricks on the side of his face, while another smashed them all with a seventh. A man with half a dozen tiles in each hand will clip them over his neighbor’s ears and break them all. Finally, in the midst of this whirlwind of destruction, one round-headed devotee drops on his knees, puts half a brick on top of his head, upon which a huge slab of granite is balanced, which is then shattered with a sledgehammer. The show is then over” (Svinth, 1999). Despite the efforts to promote this material, Ma’s program did not take off as expected in part for his ideas to resurrect the “old ways” e.g. carrying swords for those in position of authority such as officers, politicians even school principles. Moreover his poor political acumen and the fact Ma’s curriculum was modelled in an infantry style made this program less attractive outside military circles (Lin, 1985). When the Central Martial Arts Academy opened its door in 1928, very little attention was given to Ma’s work despite being invited to attend the first National Examination the same year and appointed as one of the Academy’s Education Department Directors (Acevedo & Cheung, 2014) (Chong, 1996). Ma’s contributions were blemished by his own ruthlessness against even his own ethnic group (Hui/Muslim); he would order the brutal repression of student rallies in Jinan as well as killings of Muslims in 1919. After the fall of Jinan in December 1937 at the hands of the Japanese, Ma surrendered to the enemy and in 1938 was appointed governor of the puppet regime in Shandong province. Things started to go south for Ma in 1939 when he was removed from office. After the Japanese surrender in 1945, the Guomindang government arrested him in 1947. Ma would die the same year due to illness, even though some say he was executed. Chong, Y. (1996). Zhongyang Guoshu Guan Shi. Hefei, Anhui: Huangshan Press. Lin, B. (1985). 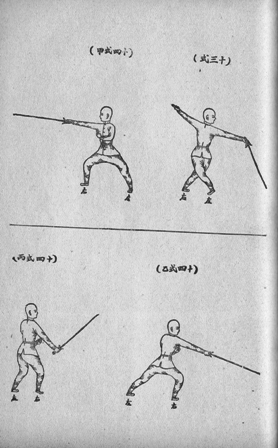 Zhongguo Wushu Shi. 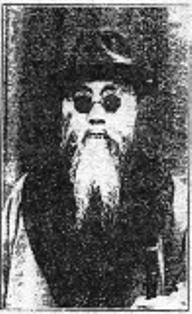 Xin bei shi : Wu zhou, min . Ma, L. (1920). 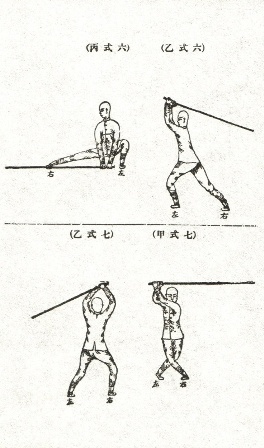 Zhonghua Xin Wushu. Ma, L. (2012). 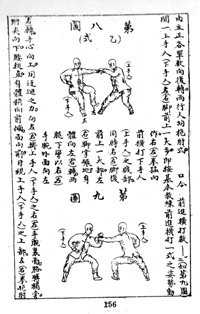 Ma Liang, and th Modenization of Chinese Martial Arts. Journal of Hui Muslim MInority Studies, 37-44.